Because I just can’t help myself, you know? Nature abhors a vacuum like my credit at my favorite local bookstore abhors not being spent. 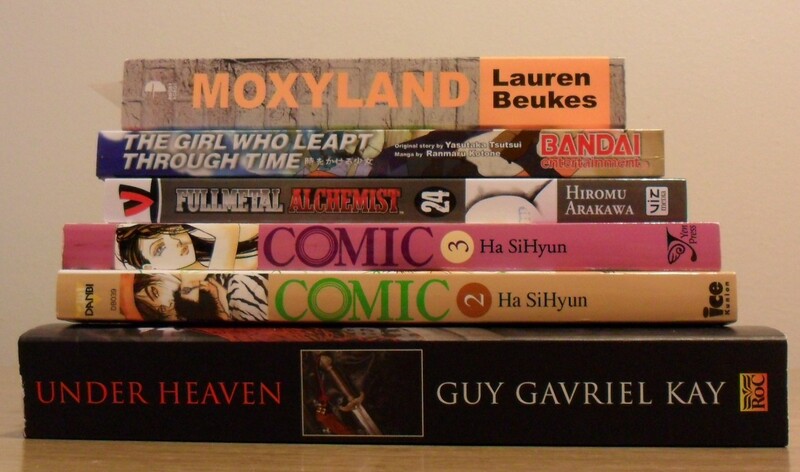 Who cares that I just got a half dozen books from the library? Bookstores are my kryptonite! Even more so after one of the employees let slip they’d just gotten in a ton of vintage SF. A Feast for Crows, by George R R Martin. 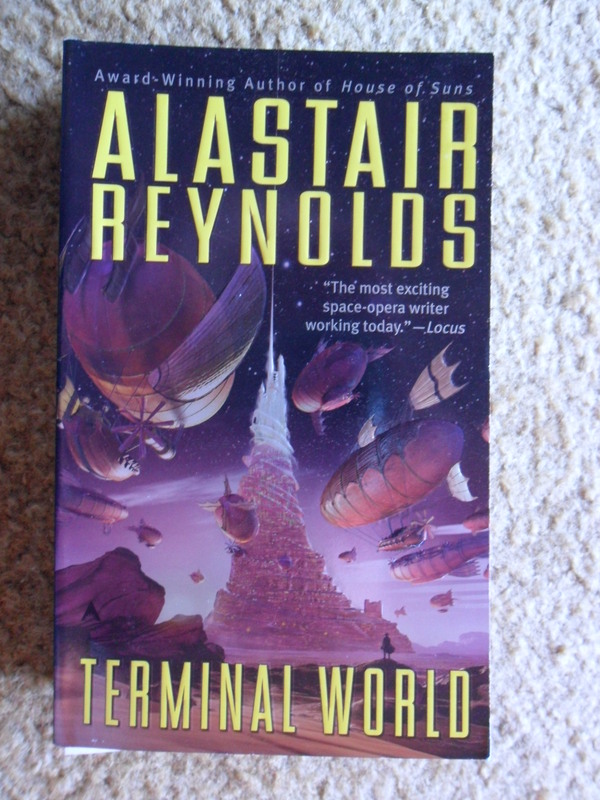 I got this out of the library a few years ago, I wish I’d thought to buy it before they changes the cover art to the “new” style. now my Martin covers don’t match! 😦 I can’t decide if I’m going to buy into the hype and purchase Dance with Dragons in hardback, or just get it from the library and wait to purchase until it’s in paperback. Doomsday Book by Connie Willis. I’ve never read any Willis, but I keep hearing really good things about her. 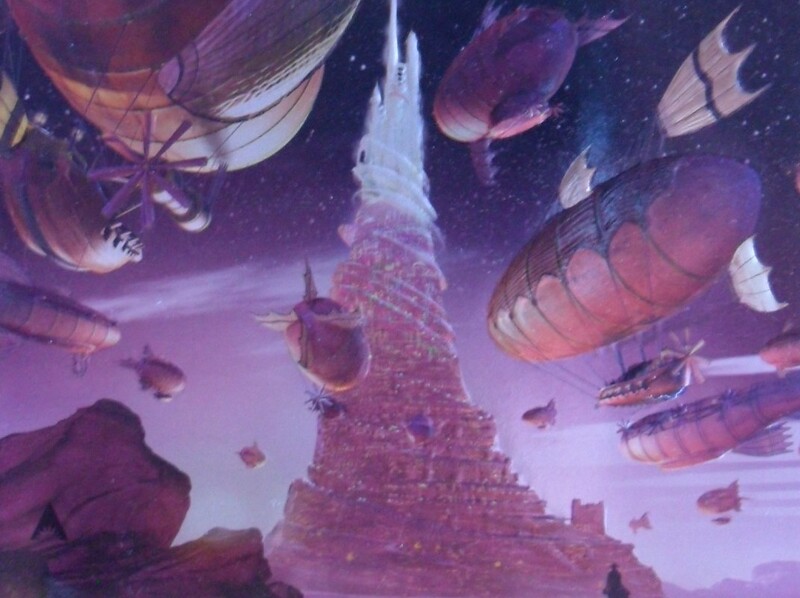 Lord Valentine’s Castle by Robert Silverberg. Another one I’d gotten from the library a few years ago, it was my first Silverberg. After I finished it, I remember my husband asking me what I thought of it as this is one of his favorites too, and I expressly remember saying that not only did I want to learn how to juggle, but if we ever had a son, I wanted to name him Valentine. Moon over Soho by Ben Aaronovitch. I really enjoyed the first book in this series, Midnight Riot, and I’ve been hearing this 2nd one is just as fun too. 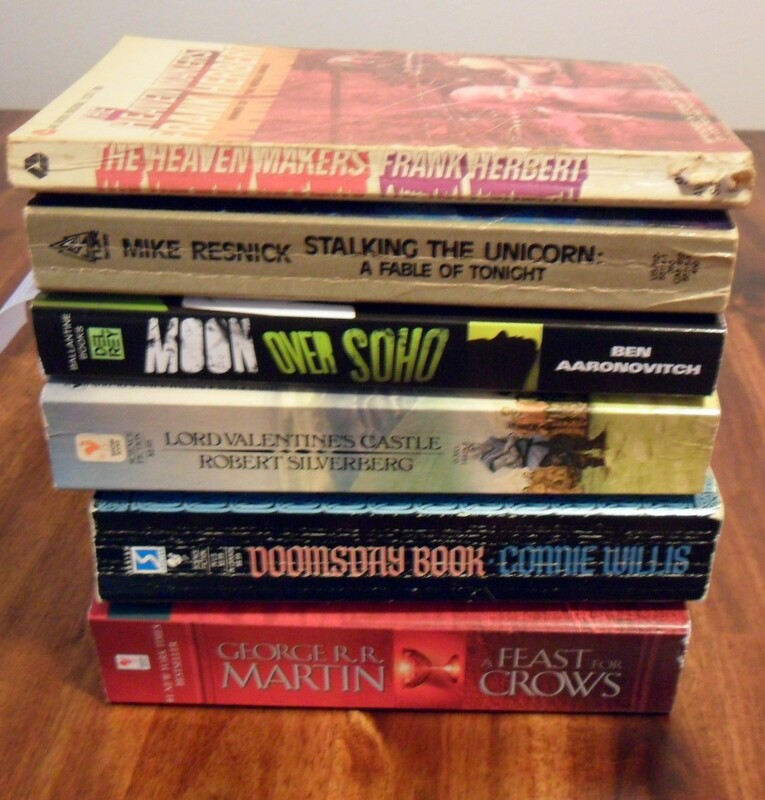 Stalking the Unicorn, by Mike Resnick – it just looked fun. and the acknowledgement pages makes some reference to a friend of Resnick’s who is the “God emperor” of something, which made me chuckle. and that brings us to . . . The Heaven Makers, by Frank Herbert. You wouldn’t know it by skimming the review index, but I am a HUGE Frank Herbert fan. I think I’ve read maybe a dozen books by him, and I know most of his discography by sight. But this is one I have never even heard of! Anyone know anything about this title? The weather’s been nice, the sun’s been shining. Time for some adventures, don’t you think? Definitely time for an illustrated epic poem! 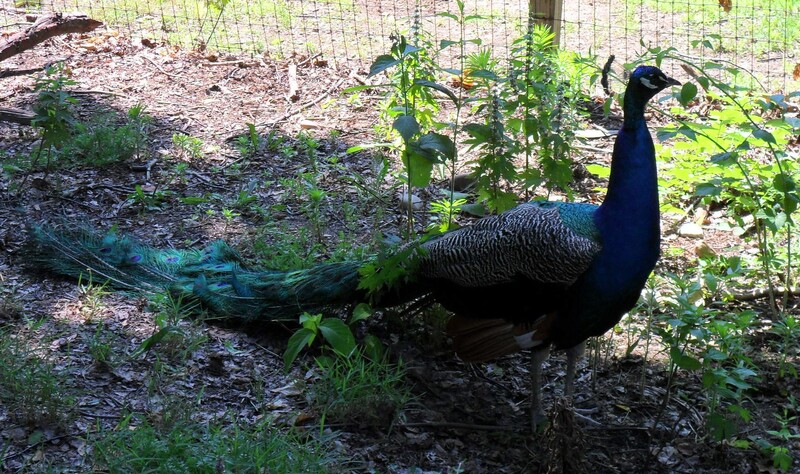 thought it was time we headed to the zoo. and wolves. and yes, many Westeros jokes were made. I think the one on the left is Summer? 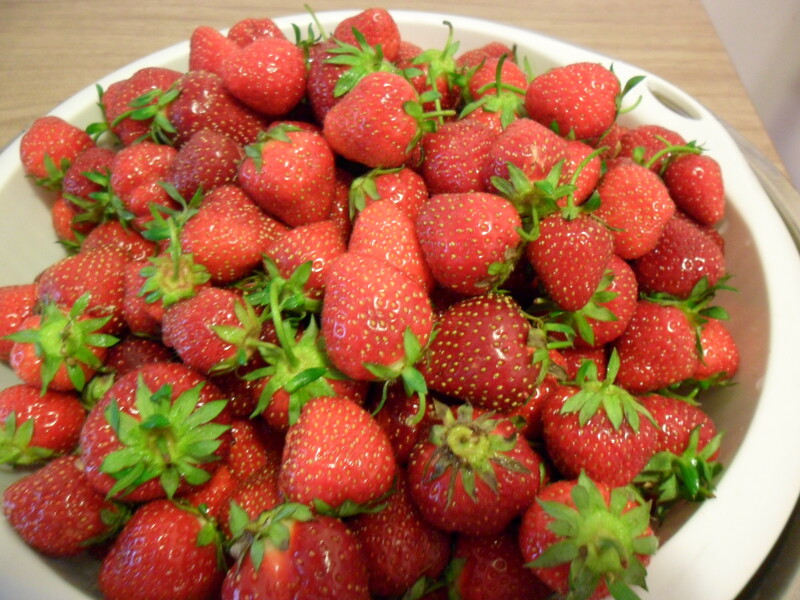 and then I went a picked a metric shitload of strawberries. there will be much freezer jam made this weekend, I swear it! 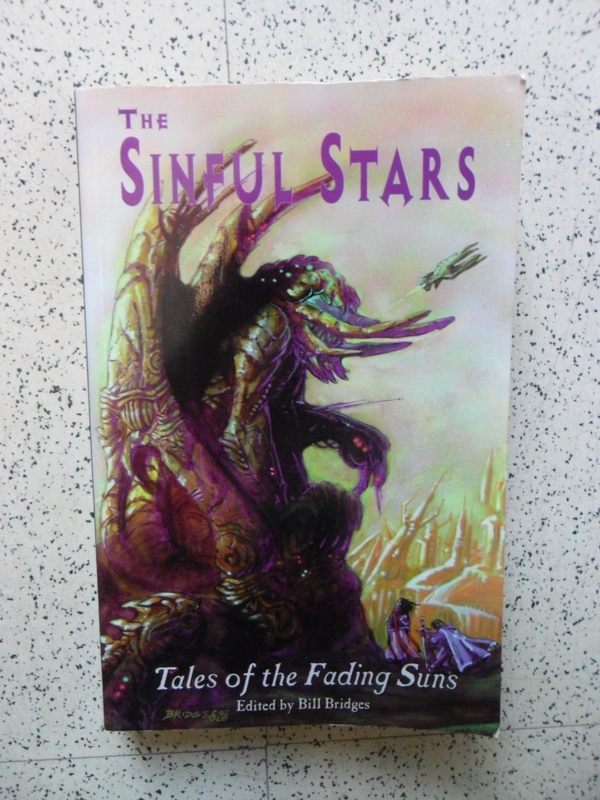 Review of The Sinful Stars*, an anthology based on the Fading Suns role playing game. Edited by Bill Bridges, one of the creators of the Fading Suns universe, of stories I’ve read so far, I’d say about half of them are very good to excellent. If all goes well, the review will post on Saturday. Also, thanks to Sinful Stars, I’ve discovered my new favorite bookish work: bibliothecary. Any PRG’ers among my readers? Have you read or written fiction based on your table top game of choice? This shared universe thing is pretty cool as well, it’s got me interested in maybe giving the Martin edited Wild Cards a shot. last week I finished two books and decided two other books in my “to be read pile” would be give-aways for one reason or another. then I went to the library. 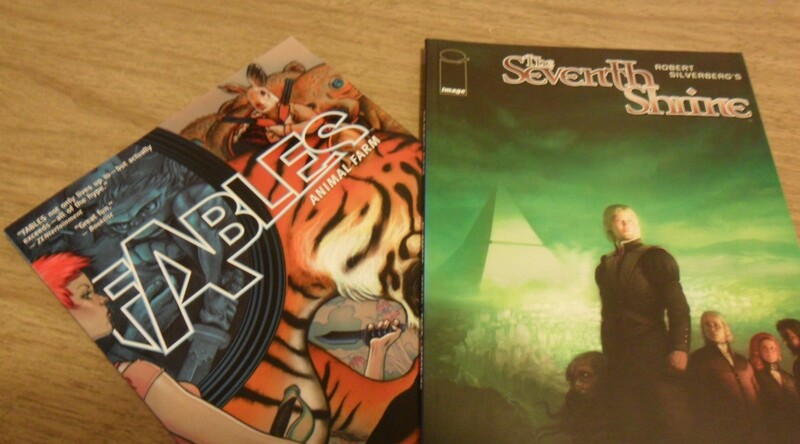 On the way home I checked the mailbox. I am a damn liar. Deck, double deck, and new acquisitions. There’s something in that photo that I’m super crazy excited about, can you guess what it is? Hint: It’s from the friendly folks at PYR. I hadn’t planned on buying Grey, but I recently read some good reviews of it, and it was on the dollar table at Bargain Books because the cover was a bit marked up. 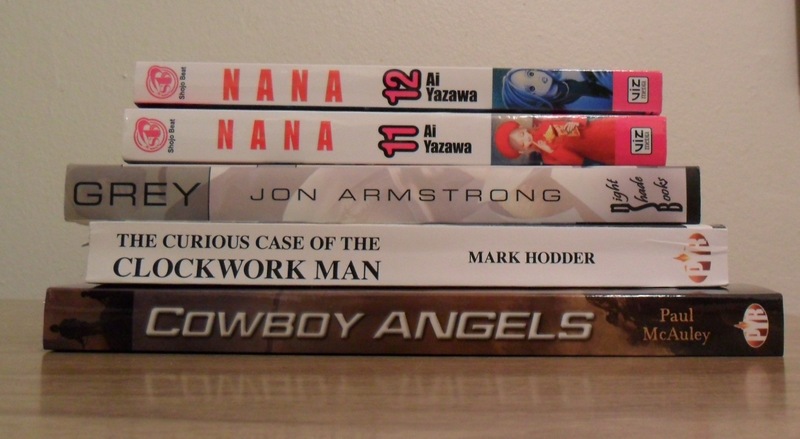 Also from Bargain Books, the Ai Yazawa. 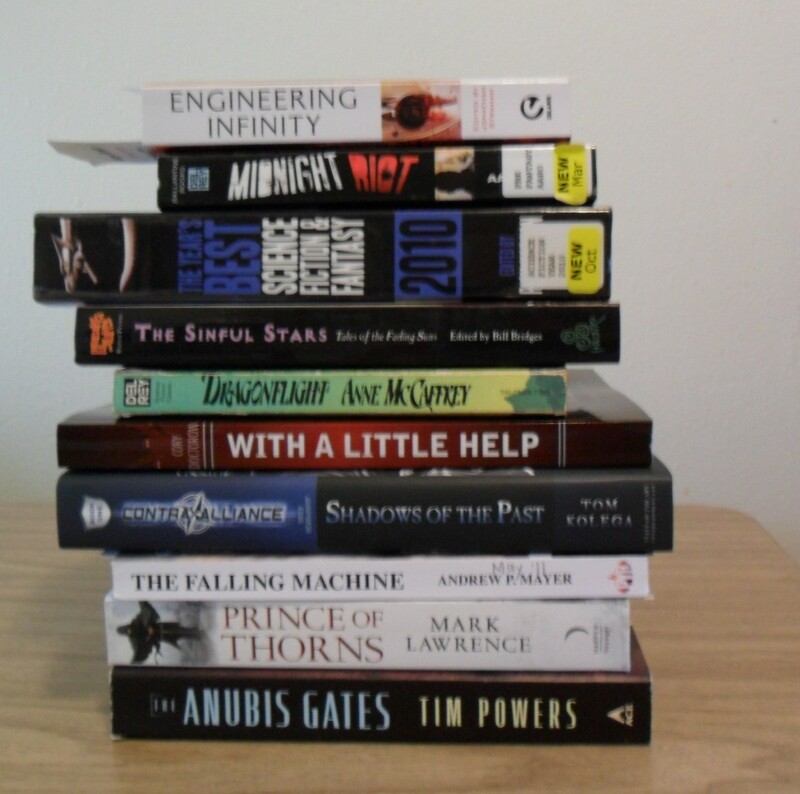 I’m undecided on Bargain Books – no service, but tons of random cheap stuff that’s usually in mint condition. A consumer’s dream, or a nail in the coffin of my favorite independent bookseller? 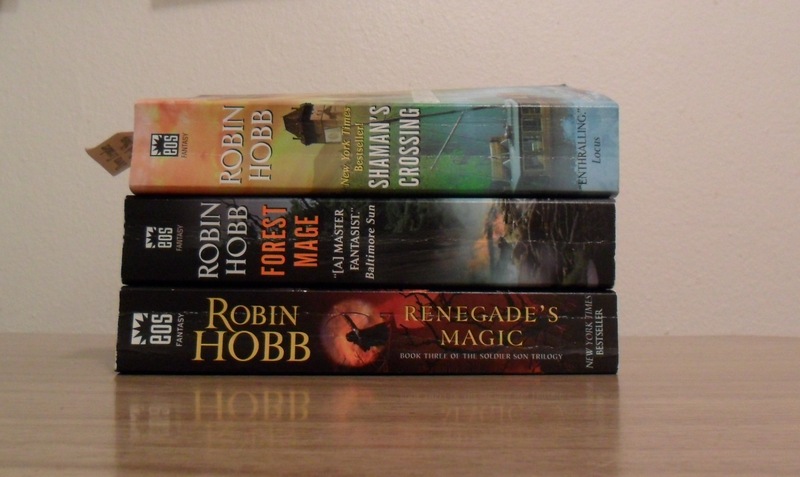 I just can’t help myself when it comes to Robin Hobb. You’re looking at the Soldier Son trilogy, book 1 of which I’m about 150 pages into. 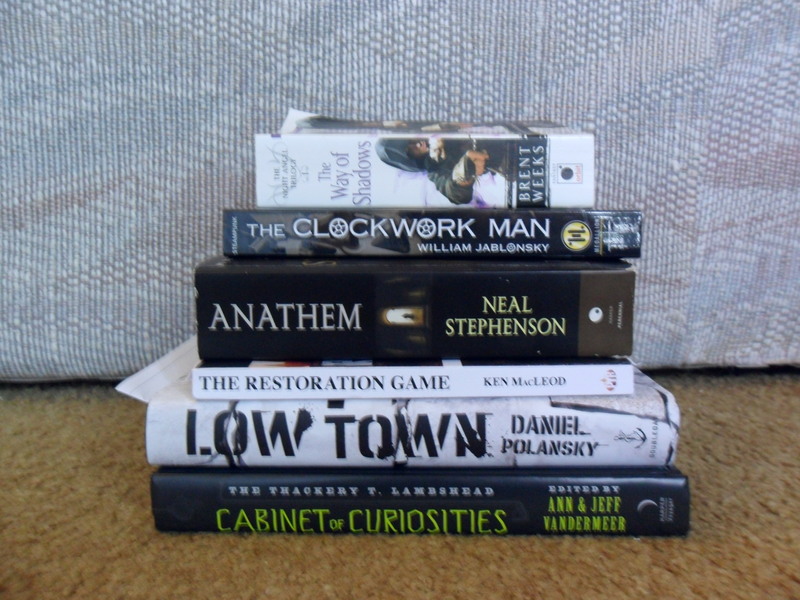 I probably won’t read these books one right after the other, but I hope to get to all of them, eventually. So If I don’t get (too) distracted by anything else in the next week or so, you should expect to see reviews of at least a handful of the stuff mentioned or pictured in this post.